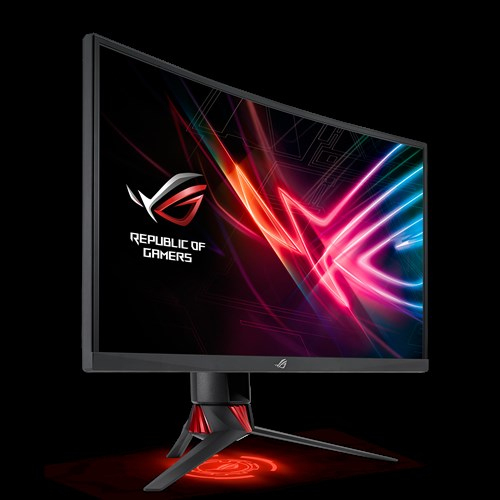 The Strix XG27VQ is a Full HD curved gaming monitor with an engaging 144Hz refresh rate. 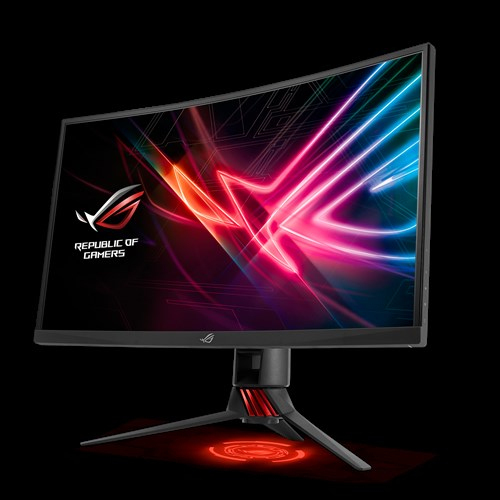 It features ASUS-exclusive Extreme Low Motion Blur and Adaptive-Sync (FreeSync) technologies for incredible gameplay without tearing and stuttering. 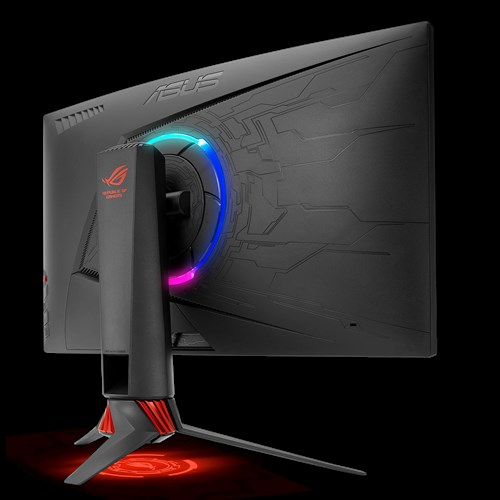 Its game-inspiring design integrates onboard ASUS Aura RGB lighting to add ambience to any gaming setup or LAN party. ROG Strix XG27VQ wraps its 27-inch panel around an 1800R curve, extending your field of vision so you feel fully immersed in the game. The display's curvature ensures every point is equidistant to your eyes, so you get a comfortable viewing experience, even during marathon gaming sessions. 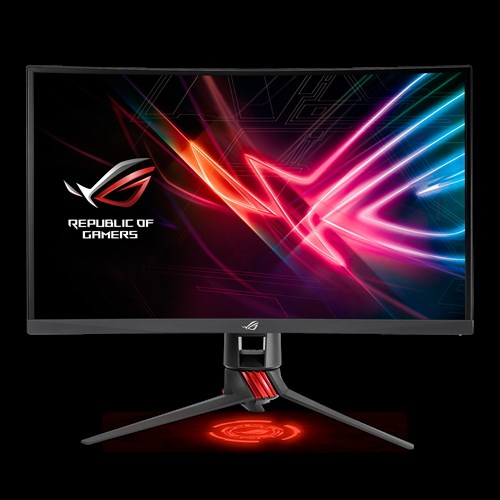 This monitor also lets you enjoy wide viewing angles with minimal distortion and color shift — so you get better visuals with games, movies, or anything else, from almost any viewing angle! Adaptive-Sync (FreeSync) technology delivers the smoothest, fastest, and most breathtaking gaming visuals imaginable by eliminating screen tearing and choppy frame rates, and by minimizing display stutter and input lag. ROG Strix XG27VQ gives you seamless, lag-free visuals when playing the latest fast-paced first-person-shooters, sports, or action-adventure games. 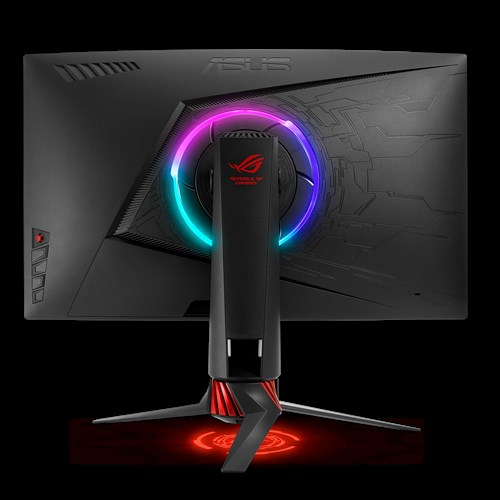 Light Signature lets you create and customize ROG Strix XG27VQ's light-projection effects. 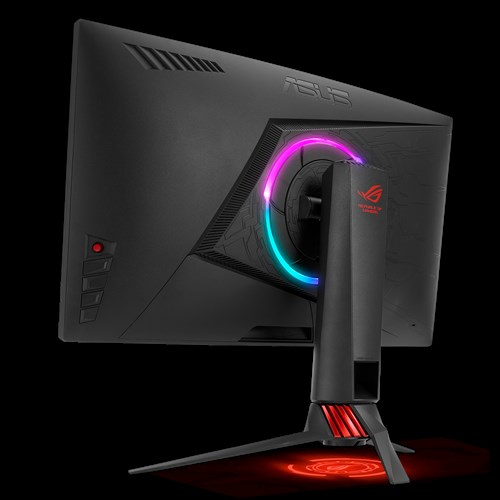 It includes two ROG logo covers and one blank covers that you can use to create customized, unique light projections to enhance your desktop surface. Strix XG27VQ features a super narrow design, making it the ideal solution for almost-seamless multi-display setups. Build the ultimate battle station, and enjoy total immersion! ROG Strix XG27VQ features the ASUS-exclusive GamePlus hotkey with in-game enhancements that help you get more out of your game. This function is co-developed with input from pro gamers, allowing them to practice and improve their gaming skills. DisplayWidget is an intuitive software utility that lets users tweak settings or configure ASUS GameVisual, App Sync, and Blue Light Filter. Adjustments to these utilities can be made via the On Screen Display (OSD) menu or the navigational joystick, but ASUS DisplayWidget makes accessing and using these various settings much faster and easier. 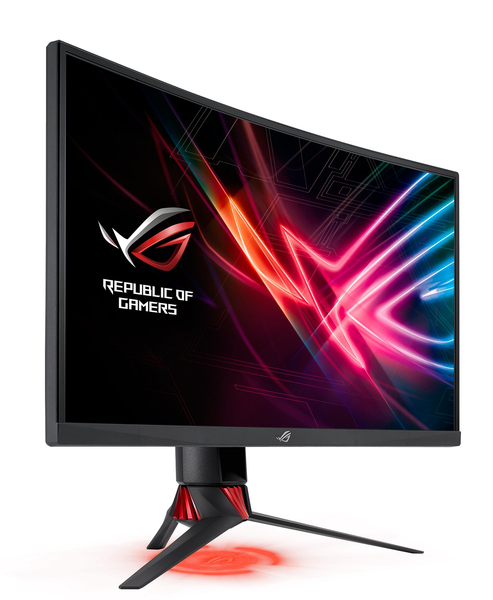 ROG Strix XG27VQ offers a wide selection of connectivity options, including DisplayPort 1.2, HDMI and Dual Link-DVI. ROG Strix XG27VQ comes with TÜV Rheinland-certified ASUS Ultra-low Blue Light filters to protect your eyes from harmful blue light. It's easy to access and select the four different filter settings via the OSD menu using the 5-way joystick. ROG Strix XG27VQ reduces onscreen flicker to give you a more comfortable gaming experience. This minimizes eyestrain during marathon gaming sessions. ROG Strix XG27VQ features a stand that's ergonomically designed to offer extensive swivel, tilt, and height adjustment — so you can always attain that ideal viewing angle.